PLAY YOUR FAVORITE BR GAME WITH YOUR FAVORITE INFLUENCERS! 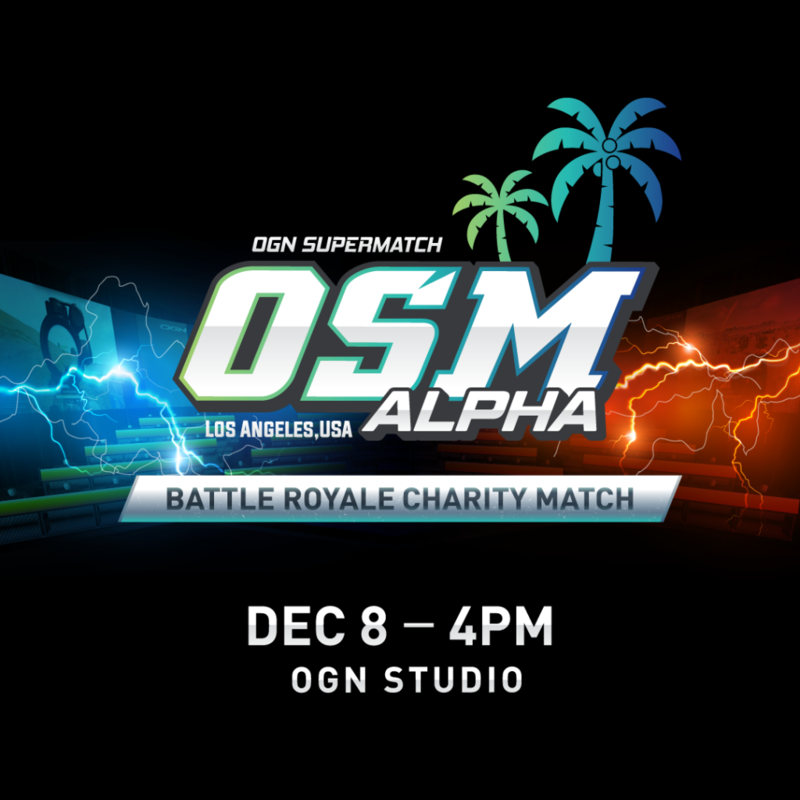 Join us for our FIRST U.S. OGN Supermatch along with the grand opening of the OGN Studio in Manhattan Beach, CA – the first dedicated Battle Royale studio in North America! Experience an event like no other — 4 groups of the world’s top streamers compete together with 60 fans in various Battle Royale games, all to benefit charities of their choice at the tune of $40,000 in total prize donations. Get the opportunity to play LIVE on stage with our featured players in Battle Royale games!